The auto industry faces an era of immense change as new technologies such as connected cars and autonomous driving are fundamentally altering the current automotive landscape. Such transformation requires organizations to embrace new business models and invest in new technologies, all while keeping the old engine running to fund these efforts. As we discussed at the recent FT Future of the Car Summit and are finding in our work, this shift will demand a new breed of leaders — the most technically gifted engineer or the most commercially astute finance director may not have what it takes to be a CEO in this rapidly changing environment. With all the change in the automotive and mobility industry, who should be sitting in the driver's seat? What experience should they have? What capabilities are critical? What should their individual work style be? Discussing automotive and mobility talent trends at the FT Future of the Car Summit. Photo courtesy of Financial Times. 1. They will have experience outside the automotive industry. In 2017, 69 percent of new CEOs at S&P 500 companies were promoted from within their company. This was down from 90 percent in 2016. If the trend toward external hiring continues, it’s likely that the next great automotive leader will come from another industry and will probably be a name that we haven’t heard. Why? Because board chairs are increasingly looking for candidates who have lived through — and mastered — disruption and transformation, and who have run a company while building a new business within it. Candidates with this experience are most likely to have backgrounds in SaaS, consumer, digital or technology. 2. They will be much more diverse in every aspect. The question of gender is key for an industry in which executive positions are still dominated by men. We’ve seen some improvement, but the industry can’t stop there. In a fast-moving world that requires agility and fresh thinking, diversity of perspectives is extremely valuable. In an analysis of 500 U.S. companies, National Center for Women & Information Technology found that organizations with more diverse teams in terms of race and gender had higher sales revenue, more customers, greater market share and greater profits than their less diverse counterparts. The bottom line is that greater gender diversity isn’t just a “nice to have,” but a force with a tangible impact on the business. Additionally, automotive companies will need to look at dimensions of diversity beyond gender, including age, ethnicity and background to bring strongly needed diversity of thought. Automotive is one of the most globalized industries in the world, but when it comes to recruiting leaders, companies seldomly cross national borders: Ford and GM are led by Americans. Volvo’s truck and car businesses are led by Swedes. However, we can see some shifts beginning: Daimler just internally promoted its first non-German CEO, Ola Kaellenius, who hails from Sweden. 3. They will have a disruptive mindset. These future auto leaders will likely be younger, and will have unconventional career paths forged in project settings. They will also bring a different set of competencies than traditional automotive executives, including expertise in user experience, e-commerce and the Internet of Things. This generation wants to make a significant difference quickly, and they are not afraid to disrupt traditional patterns. They prefer ambitious goals over incremental progress. They also tend to have the agility and flexibility to rethink how the business can innovate and develop products that will surprise and delight their customers. 4. They will be drawn to opportunities with a greater purpose. The notion of millennials deeply caring about social responsibility — as both consumers and job candidates — has been widely reported. When we talk with individuals in this cohort, they tell us they want to be a force for good in society. They often consider the ability to make an impact as part of their compensation. (Read more about the growing importance of social responsibility and how CEOs are responding here.) They also have a strong instinct for authenticity and can tell when a company’s efforts are genuine and when they are simply checking a box. 5. They will excel in complex environments. The next generation of automotive leaders will bring a mix of skills that equip them for an innovate-or-die environment: the ability to drive results, think strategically, collaborate and influence, and to lead change and develop people. They will be able to communicate effectively across a wide range of functions and will be just as comfortable discussing engineering challenges as they are debating new business models. Able to deftly navigate matrix organizations, they will also actively shape new business environments and serve as change agents. Finding leaders with such a wide degree of expertise may sound like a search for unicorns. But, as our analysis indicates, such people do exist. While these capabilities are essential, cultural fit (or the ability to help shift the culture if necessary) can help spell success — or failure. As we embark on this new era (which I talk more about with Financial Times Live), automotive and mobility companies must be able to bridge cultural and generational divides from their youngest coder in California to the most tenured engineer in Stuttgart. Preserving the pockets of a stable, process-driven manufacturing culture while encouraging other parts of the business to become more flexible and innovative will require a delicate balance. How do you get there? Rethink how you look at talent and culture. And when you find the right people, get out of their way. 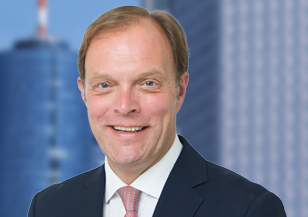 Ralf Landmann is a member of Spencer Stuart’s global Industrial Practice and brings more than 25 years of industry and consulting experience to his role. He focuses on senior-level assignments for industrial clients in Germany, throughout Europe and at a global level, with a particular emphasis on the automotive sector. Reach him via email and follow him on LinkedIn. CPG companies may need to rethink how they attract and retain next-gen talent.